Michael Berengarten is a partner in Herrick's Litigation Department. Michael is a seasoned litigator with broad-based experience in complex commercial and real estate litigation, at both the trial and appellate levels. He has obtained successful outcomes in a wide variety of contract disputes, business divorces and corporate control disputes, litigation arising from operating, partnership and joint venture disputes, disputes arising under the Uniform Commercial Code, and matters involving fraud, breaches of fiduciary duty and other commercial torts. 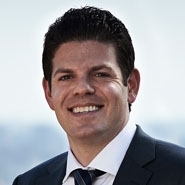 Michael frequently advises and represents real estate management companies and property owners in commercial disputes arising from real estate acquisitions and development projects. Michael also serves as national coordinating counsel for national retailers and commercial banks throughout the country in disputes arising from commercial and retail leases and business operations. Michael has experience both in state and federal courts and several mediation and arbitration venues.